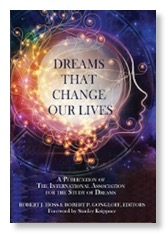 Scott is a past President and Board Chair (2015-2016) for the International Association for the Study of Dreams. He is Chair of the IASD Education Committee, the site creator of its new Online Course Center (www.iasdreamcourses.org), and was co-chair of the recent IASD Online Research Conference. He is a full Professor in the counseling program at the University of Texas-Pan American, on is the faculty of Atlantic University in Virginia Beach, where he has developed and taught courses in the evolution of consciousness, the yoga of dreaming, and spiritual mentoring. Scott has maintained a solo private practice in professional counseling since 1982, and currently practices in McAllen, Texas. 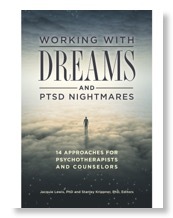 He specializes in existential, Jungian, systemic, and transpersonal approaches to therapy, and has developed an innovative approach to dream work based on his lucid dream research, called the FiveStar Method. He is founder of DreamStar Institute, which offers mentoring and certification in dream analysis for laypersons and clinicians. 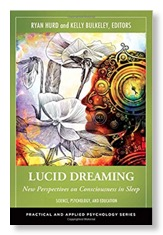 He wrote the early classic, Lucid Dreaming: Dawning of the Clear Light. 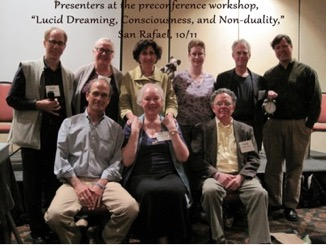 Scott has lectured and taught courses across the U.S. on such topics as meditation, spiritual experiences, and dream work methods. He is a student of Jungian psychology, Eastern religions, and contemplative Christianity. For several years, he made a study of the "Christ encounter," which is the visionary or dream experience of meeting Christ face-to-face. A book on this research titled, I Am With You Always: True Stories of Encounters With Jesus--a Barnes and Noble bestseller, Book of the Month selection, and Quality Paperback selection--that was published by Bantam in 1995. 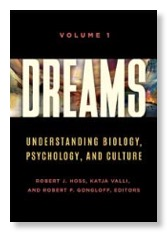 Similarly, he subsequently wrote a book about dreams and visions of Mary, titled Blessed Among Women: Encounters with Mary and Her Message (Crown, 1997). He is also author of Sacred Encounters with the Christ (Ave Maria, 2002), Sacred Encounters with Mary (Ave Maria, 2003), Healing the Fisher King: A Fly Fisher's Grail Quest (BlueMantle, 2009), and The Blue Ornament (BlueMantle, 2014).